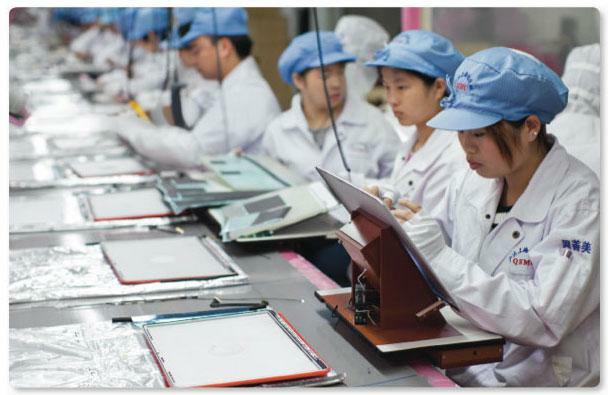 In a bid to increase supply of Apple's flagship iPhone 5s, Foxconn— the company's largest manufacturing partner— has dedicated 100 assembly lines to the handset and is now operating 24-hours-per-day, according to Foxconn executives. More than 300,000 employees at Foxconn's Zhengzhou, China factory are working exclusively on iPhone 5s production, reports The Wall Street Journal. The production increase appears to have significantly eased supply constraints— yesterday, AppleInsider noted research from Piper Jaffray analyst Gene Munster suggesting that more than 90 percent of iPhone 5s SKUs were available in retail channels, indicating that Apple's supply chain has nearly caught up with market demand. Shipping estimates from Apple's first-party online store have dropped from 2-3 weeks to just 3-5 days, and Apple retail stores that previously required reservations for in-store purchases of iPhone 5s units— like those in Hong Kong— have removed that restriction. The report suggests that supplies of the popular handset were limited so severely at launch due to a marked increase in manufacturing capacity over its predecessor. The iPhone 5s is said to require 600 workers per assembly line versus 500 workers per assembly line for the iPhone 5, thus increasing the total assembly time for each unit. The Zhengzhou facility's current 500,000-units-per-day volume is said to represent maximum capacity for the plant, and Foxconn is hesitant to add additional capacity in light of fears that it could lose future Apple contracts to competitors Pegatron and Wistron. Reports began to surface over the summer that Apple was aiming to diversify its Asian supply chain in order to decrease its dependence on Taiwan-based Foxconn.